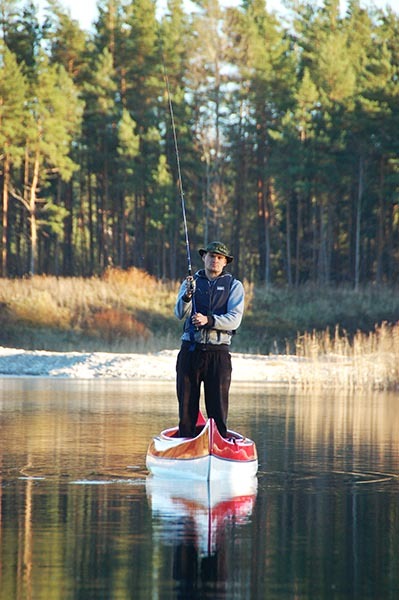 Fishing in a canoe is very different from classical fishing in a motor boat and has its advantages. A canoe offers fishers more mobility and allows them to go into more unusual places, where it’s impossible to get in a normal boat and that aren’t accessible from the shore. But you also have to be more careful. You mustn’t forget that you always have to sit in the middle of the canoe , balance is easy to lose and then you’ll be swimming with the fishes. 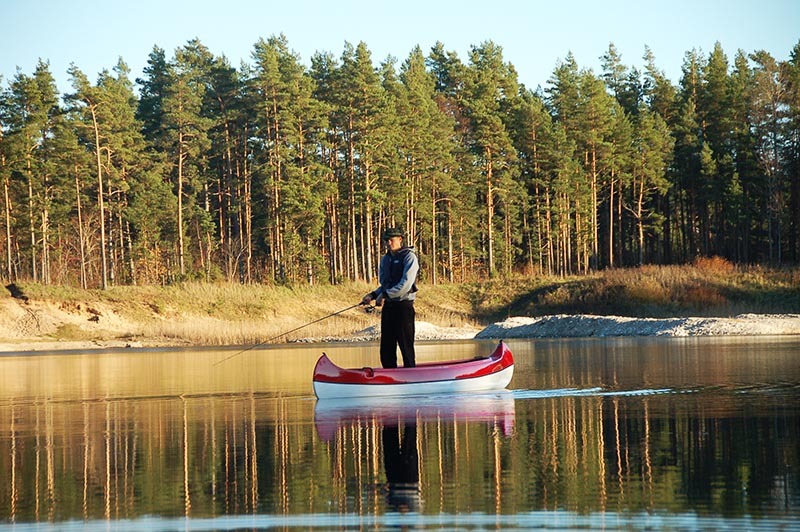 Although in the case of our canoe , even fishing standing up is easy because it has good balance, it still needs a bit of practice.t. 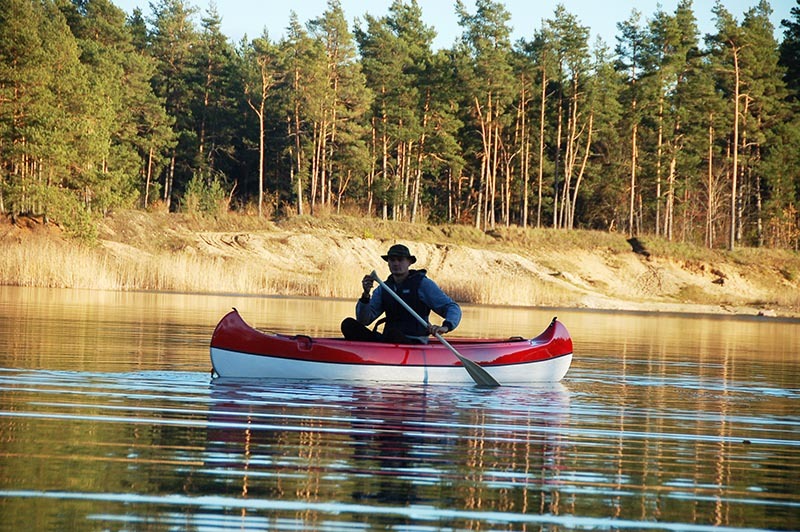 Transport is easy – the canoe weighs very little and it can be put on the roof rack of a car very easily. Slow rowing allows you to just enjoy the beautiful outdoors and see wild animals you usually wouldn’t run into. It’s always good to have a little camera in your pocket!